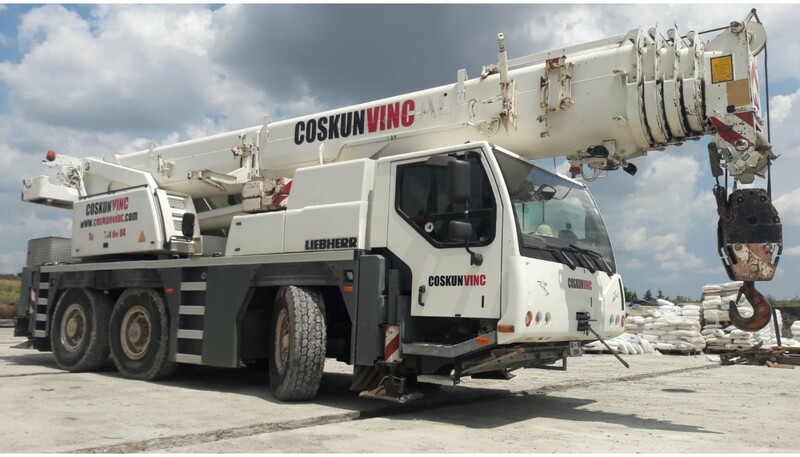 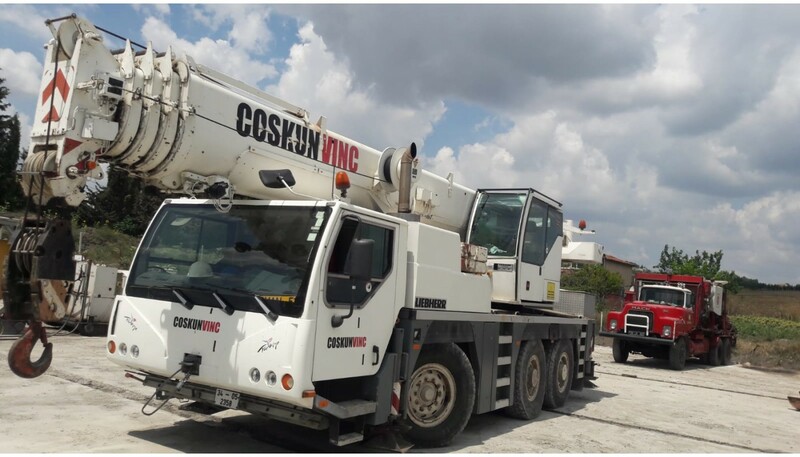 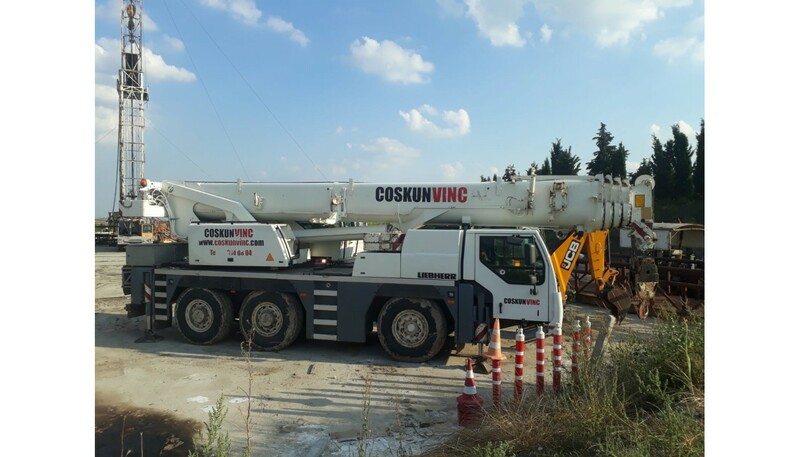 Crane Weight On Road 32.5 t.
Liebherr 3-axle carrier with hydro - pneumatic NIVEAUMATIC-SUSPENSION with level adjustment, diesel engine Liebherr with 270 kW (367 HP) EURO 3, automatic 12 speed transmission, transfer gear, drive 6x4, tyres 14.00 R 25, ZF-steering system - 2 circuits, all-wheel steering, crab walk, compressed air servo brake system - 2 circuits with ALS / anti - locking system and ASR / traction control. 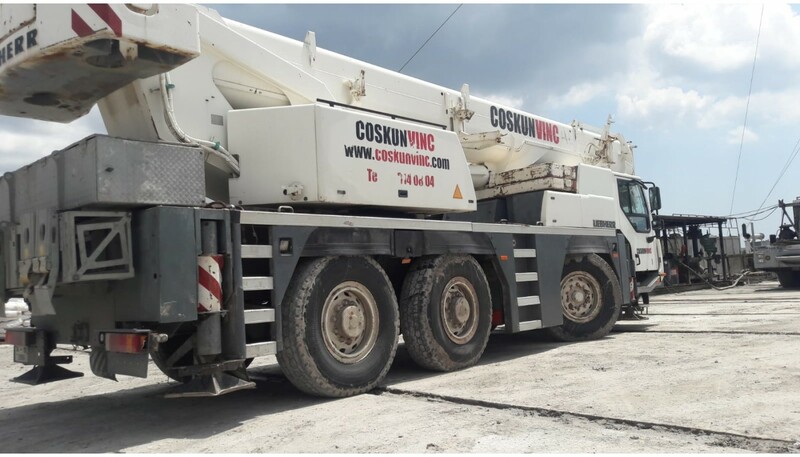 Axels and suspension cylinders demanding low maintenance, drive shafts maintenance free. 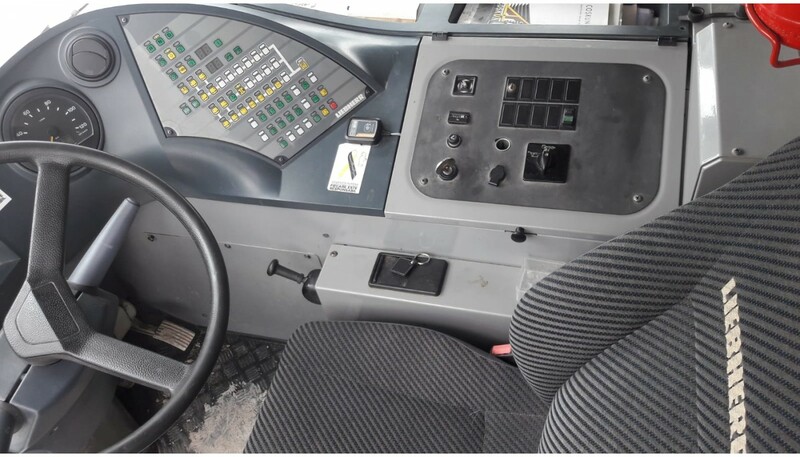 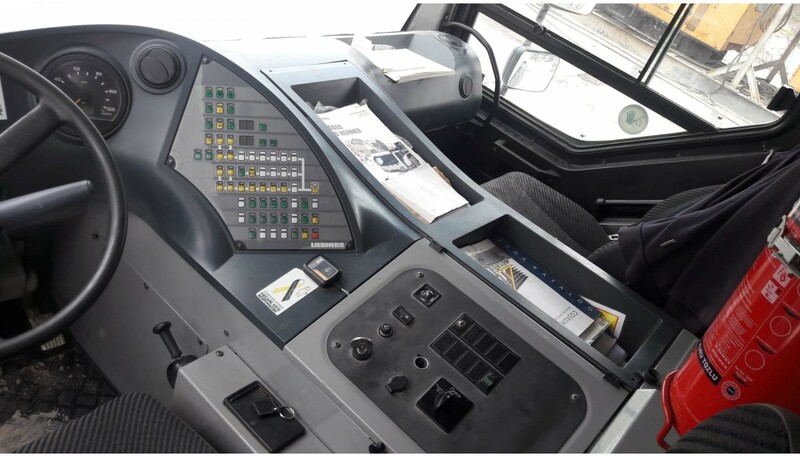 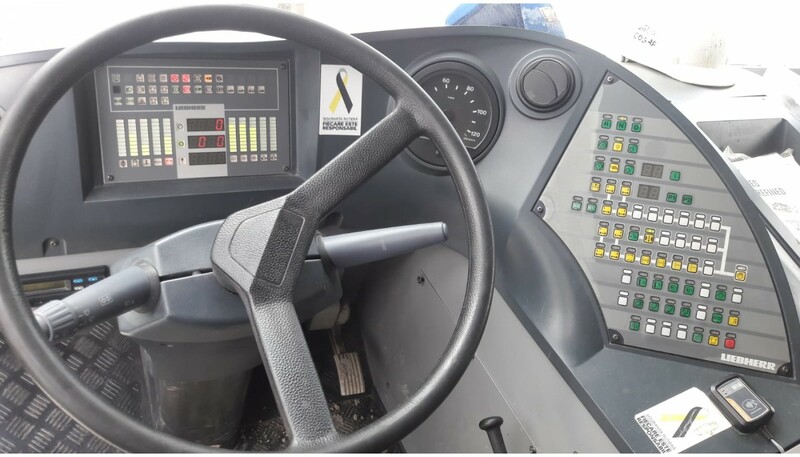 Dip primed spacious carrier cabin, hydraulic outriggers with rigidly mounted outrigger pads and operation from both sides of carrier or from the superstructure cabin, illumination of supporting area, electronic inclinometer and automatic levelling, manoeuvring coupling at front rear. Liebherr roller-bearing slewing ring connecting carrier and superstructure, central greasing, hydraulic system with axial-piston pump and geared pumps in crane carrier, summation regulated, hoisting gear, slewing gear, luffing and telescoping gear with open oil circuits, Load Sensing, electro-hydraulic control of crane, oil cooler, telescopic boom consisting of the pivot section and four telescope sections.